* Notice that the way we are doing the A & B chords of the verses is a variation on these chords. 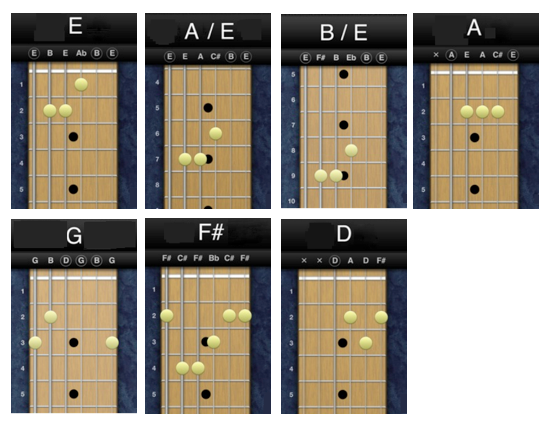 You take an E chord and the exact way you finger it and move it up to the 7th fret to make A/E and then move it up two more frets to the 9th fret to make it a B/E chord. 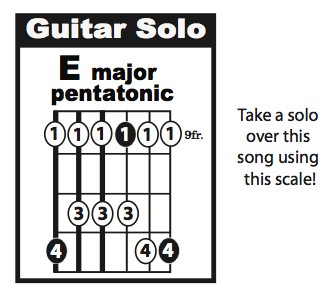 The E major pentatonic scale works great for the verses, the chorus and specially the instrumental section. For the bridge, there must be some minor adjustments to the scale for it to work.